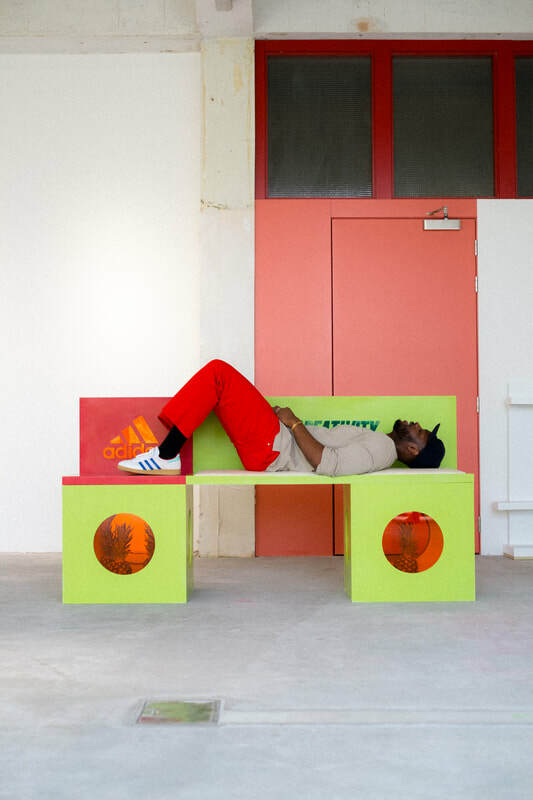 A bench that we fabricated for furniture designer and artist Yinka Ilori, originally commissioned by Adidas to celebrate their Parley range – a series of trainers made from recycled plastic. Yinka approached us with his design for a seamless bench made of recycled plastic materials, to be created in a short time frame. In order to realise this design, together with Yinka we found and sourced a solid surface recycled plastic material, Durat, with which to create the bench. We then designed a fabrication system in order to create a seamless piece of furniture within the time frame: we built a plywood structure that was then overlaid with CNC-cut Durat. The CNC efficiently created precise mitre joints, which were set with casting resin. The resulting product has a monolithic, massive quality - you can’t intuitively understand how it has been put together. 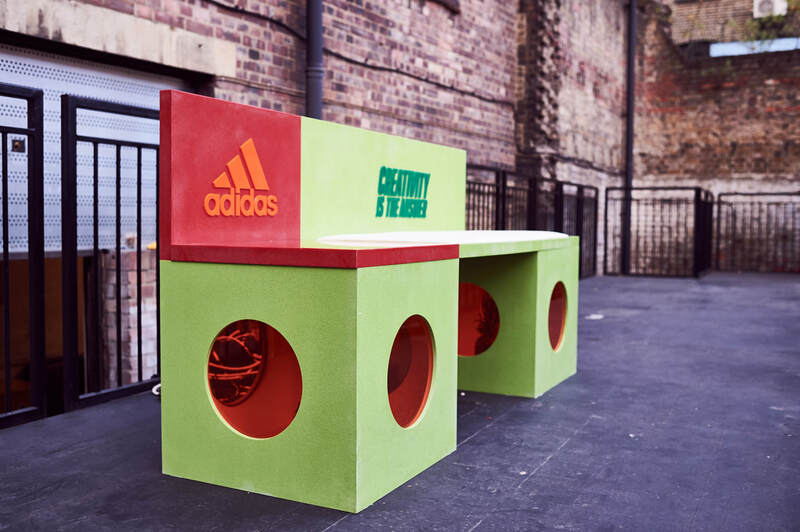 The bench was part of the Adidas Creator Studio Pop-up in Shoreditch, London, used for their World Cup 2018 watch party.